In very good condition with minor signs of wear. Charging cable included. Apple IPOD SHUFFLE 4TH GENERATION LIGHT BLUE 2GB UNBOXED WORKING & WARRANTY. 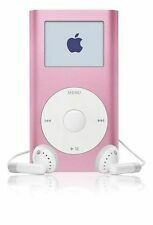 Apple iPod shuffle 4th Generation Pink (2GB). Condition is Used and pink in colour. See pictures for condition. MINT CONDITION Apple iPod shuffle 4th Generation - Black (2GB). Condition is Used. Dispatched with Royal Mail 1st Class. In mint condition with original box, charger and a brand new set of Sony earphones. Apple iPod shuffle 4th Generation (Mid 2015) Space Grey (2GB). Used in like new condition, some music left on it so buyer will need to format it. Apple iPod Shuffle 4th Generation Silver (2 GB). Condition is Used. Dispatched with Royal Mail 1st Class. Apple iPod shuffle 1st Generation White (525 MB). No earphones included. Condition is Used. Apple iPod Shuffle 4th Generation Silver (2 GB). Condition is Used. Works perfect. Cable USB included. Dispatched with Royal Mail 1st Class. Add me on your favourite seller. Always good deals! 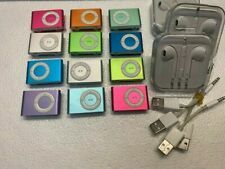 2 X Apple iPod shuffle 2nd Generation Blue And Green 2GB. Condition is Used. Only 1 charger and no boxes or headphones. Reset to factory settings. Dispatched with Royal Mail 2nd Class. iPod Shuffle Red . Condition is Used. In good working condition. Please note there is a name engraved on back. Still sealed in box Apple iPod shuffle 4th Generation (Mid 2015) Space Grey (2GB). Dispatched with Royal Mail 1st Class. For sale 4th Gen iPod Shuffle. It has never been used. I also do not know the capacity of the shuffle. It is in good condition and works well. The clip works well and all the buttons and charging lights work as they should too. It has been formatted ready for use. Apple iPod shuffle 4th Generation Red 2GB). Used, but perfect condition. (Apple iPod shuffle 4th Generation Red 2GB). Used, but perfect condition. 5 out of 5 stars - Apple iPod shuffle 4th Generation Red 2GB). Used, but perfect condition. 17 product ratings17 product ratings - Apple iPod shuffle 4th Generation Red 2GB). Used, but perfect condition. Apple iPod shuffle 4th Generation (Late 2012) Space Grey (2GB). Condition is Used. Dispatched with Royal Mail 1st Class.MINT condition only has one album on there ATM which is ed Sheeran. Comes with charging / connection cable. Apple iPod shuffle 4th Gen Pink (2GB) comes with charging cable as per phot. Condition is Used. Dispatched with Royal Mail 1st Class. This is a brand new, unused, unopened, Apple iPod shuffle 4th Generation (Late 2010) Orange (2GB). Any questions, please ask. Apple iPod shuffle 2nd Generation Light Blue (2GB). Condition is Used, but still working perfectly. Dispatched with Royal Mail 1st Class. 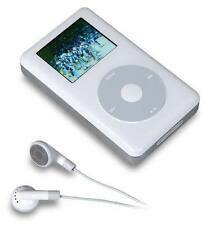 Selling my iPod shuffle - 1GB in Silver. used but in good condition. Includes charger dock and original case. Does not include headphones. Happy Bidding. Apple iPod shuffle 2nd Generation Pink (1 GB). Condition is Used. Dispatched with Royal Mail 1st Class. Can’t test it because I don’t have iTunes anymore. Ipod shuffle 4th generation light blue. Found it in a draw where it has been for years belongs to my step son in good working order and exellent cosmetic condition considering its age comes with brand new charger only used once to charge it up so I could check it was working no ear phones great retro item will post with Hermes. Relisted due to non-paying bidder. Apple iPod shuffle 4th Generation Green (2GB) in excellent condition, USB charging cable included. Tested and working perfectly. Battery seems very healthy, would guess a full charge lasts 8-10 hours, maybe longer! The device has a couple of very light scratches but looks great. Dispatched with Royal Mail 1st Class. Will post internationally. Thanks for looking! Apple iPod shuffle 2nd Generation Pink (1 GB). Condition is New. NEVER been opened or used. Dispatched with Royal Mail 1st Class. Apple iPod shuffle 4th Generation (Mid 2015) Space Grey (2GB) In Great Condition, only used a handful of times. In its original casing also includes a USB cable to charge it. Condition is Used. Dispatched with Royal Mail 1st Class. Original Boxed Apple iPod Shuffle 2nd Generation Gray 1GB- Perfect Condition. All original accessories an perfect condition Dispatched with Royal Mail 1st Class. 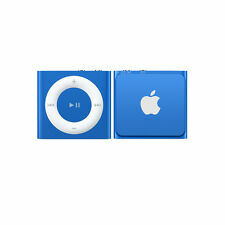 New listingApple IPOD Shuffle 4th generation 2GB - colour PURPLE. Apple IPOD shuffle 4th generation 2GB - PURPLE WITH USB CABLE. Condition is hardly used - maybe use a handful of times, so in perfect condition. Comes with original packaging as seen in photo's. 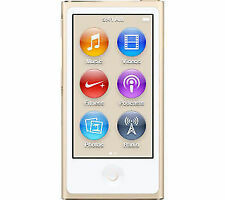 4.5 out of 5 stars - Apple IPOD Shuffle 4th generation 2GB - colour PURPLE. 4 product ratings4 product ratings - Apple IPOD Shuffle 4th generation 2GB - colour PURPLE. Apple iPod shuffle 3rd Generation Silver (4GB). Condition is Used. Dispatched with Royal Mail 1st Class.